Feist has been big news in Canada for the last four or five years, both as a member of Broken Social Scene and as a solo artist. Her rich and offbeat voice, her quirky songs, and her theatrical performances have made her a club staple and critical favorite as she has crisscrossed the country, wowing music fans from Vancouver to Halifax and everywhere in between. With the major label release stateside of The Reminder, many of her longtime fans crossed their fingers and wondered how she would go over in the bigger — and considerably less forgiving — international market. If positive reviews in the Village Voice, New York Times, and Pitchfork are any indication, Feist has nothing to worry about. 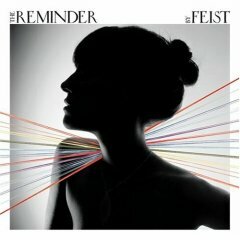 In terms of its scope and its aesthetics, The Reminder is different from Feist’s three previous solo endeavors. In the past, her approach was more eclectic, as she sang in English and French and embraced a range of musical genres and styles in pursuit of her muse. Wary of the pressures implied by accepting a major label contract, many of Feist’s original fans were concerned that she, like fellow Canadian Nelly Furtado, would need to sell out and retool her sound to fit the fickle demands of the mainstream. The marketing that preceded The Reminder did nothing to dissuade these fears, and the images of Feist that began to appear were at odds with how she had presented herself in Canada. She suddenly looked like the wacky, indie girl we used to know whose fashion consultant sister had cleaned her up for an important job interview. Thankfully, aside from the surrounding publicity — which included a video for the first single 1234 that featured a bevy of attractive, multicolored dancers swirling around the singer for no apparent purpose — it is Feist, the artist, and not Feist, the commodity, who asserts herself on The Reminder. With its mixture of jazz, soft rock, and soul, there are times when the album is a little too polite. It also is less quirky than her previous effort Let It Die. Still, it is her most focused and satisfying outing to date. Initially, the opening track So Sorry — with its delicate brush work and understated guitar and vibes — sounds uncomfortably like a Norah Jones outtake. However, repeated plays of the song reveal not only a flirtation with riskier vocal arrangements than the underachieving Jones usually offers, but also a far more interesting set of lyrics with which to play. With her electric guitar cranked and fuzzed up, Feist moves out of Starbucks territory and into the garage on the subsequent I Feel It All. It’s not Joey Ramone’s garage she’s playing in, to be sure, but that’s okay since that cave already is overly full. The early ’60s aura that carries the song owes as much to Lulu and David Byrne as it does to indie punk sensibilities. Although many of the other cuts on The Reminder hint that Feist is an artist who is trying to please too many masters — or, at the very least, one who hasn’t yet learned to govern her disparate urges — there are other moments that are worthy of comment. Her experimental side gets a workout in her interpretation of the old Nina Simone rave up See Line Woman (which has been re-christened as Sealion Woman). In her version, Feist somehow manages to honor Simone’s simmering chug and her call-and-response style while also embedding Laurie Anderson’s signature disembodied choral structures into the tune’s subtext. For certain, The Reminder is a good album. The more time that one spends with it, however, the more one realizes that it could have been better. Feist is often at her peak when she neither overreaches nor tries too hard to please. For this reason, The Park and The Water, two of the most understated tracks on the disc, offer the most satisfaction. On these tracks, Feist is content merely with setting her songs in simplistic arrangements. The result is that the inventiveness of her lyrics and the supple beauty of her singing voice carry the tunes. The Reminder is available from Barnes & Noble.